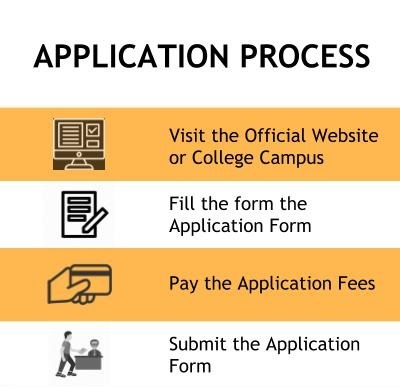 The common application form for all Balaji Institutes is available online on the admissions page of the official website of Sri Balaji Society. Candidates can visit the website, and apply online. Scanned copies of colour photograph of the candidate and signature must be kept ready. Students are advised to read all the instructions carefully before filling. All the fields are to be filled compulsorily. Online form must be submitted and online payment must be made to obtain the Application Number. This Application Number must be noted for further communication. The candidate has to choose the centre for GD/PI and Essay while filling the application itself. 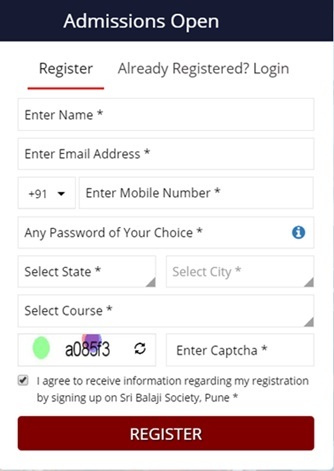 They can also get the form from the College by sending a Demand Draft for INR 1500/- drawn in favour of 'President, Sri Balaji Society, Pune' payable at Pune, with full name and the postal address written on the reverse side of the DD. 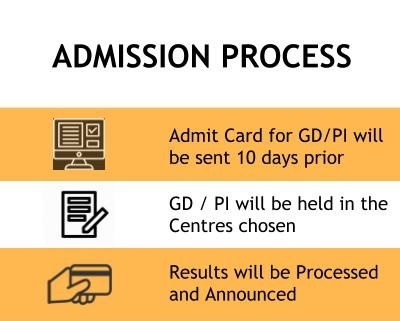 Admit card will be sent to the applicants 10 days prior to the Group Discussion and Personal Interview (GD/PI). Candidate must attend the GD/PI. After processing the GD/PI performance, the results will be announced. Admission will be based on the merit in qualifying examination, essay writing and GD/PI. Candidates who want to get through Balaji Institute of Telecom and Management, Pune admissions 2019 must have completed a Bachelor's Degree with 50% aggregate marks (45% in case of Reserved Category students). They should have appeared and qualified in CAT / MAT / XAT / CMAT or MH-CET. Graduation in Engineering or Technology in Electronics / E & TC / Telecommunications / Computer Science / Information Technology / Instrumentation / Electrical / Mechanical with 50% aggregate marks (45% for Reserved Category). He must be a graduate. I didn't participate in the entrance exam.